Find the best array of distinctive home decor at Katzberry. We’re proud to carry a large and contemporary collection of coffee tables and ottomans for your home, in addition to other furniture pieces and home accessories. Browse our online furniture store to start shopping for a tufted ottoman, gold leaf coffee table, or a fuzzy fur ottoman today. We also carry an impressive selection of modern bedroom furniture, such as bed frames, bedside tables, and trendy nightstands. If you have any questions about our distinctive home decor, or you’d like to learn more about a particular product, contact our friendly staff today. 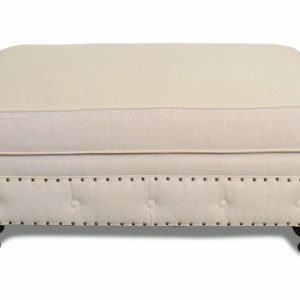 Soft sided plush ottoman features diamond button-tufted with an antique white linen on an oak base with a light gray wash. This coffee table has a very dark expresso, almost black finish. 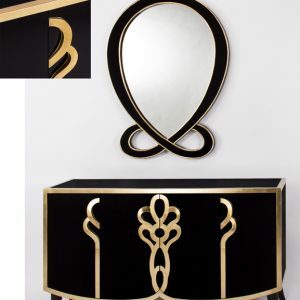 It features an elegant gold leaf designed with tempered glass top. 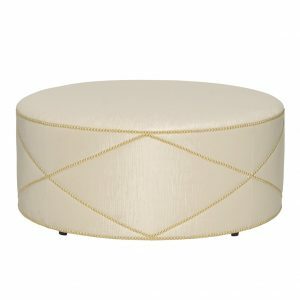 Jacob Ottoman has wood top covered with padding and upholstered silky fabric. 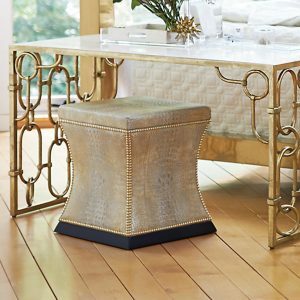 Has Bright Brass Nailhead detail all around and in a criss-cross pattern. An elegant accessory indeed! 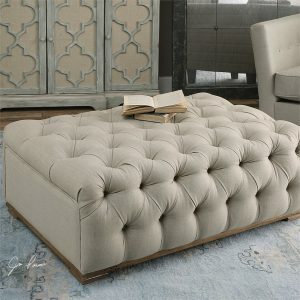 This ottoman comes in 3 types of leather. 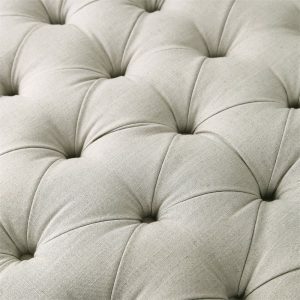 Each ottoman has nailhead detail bordering each side. From side view corners have double vertical nailhead detail. They sit on a wood base with a mocha finish. Comes in 3 leather colors – Brown, Gray and Gold Leather. 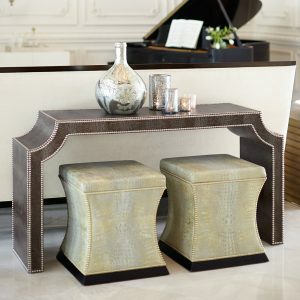 Contemporary London Club Ottoman comes in beige linen upholstery, has beautiful detail with its button insets and nail head detail. Its a perfect match to the London Club Collection Sofa and Chair. This collection comes in other fabrics and leather options. Contact us at customercare@katzberry.com or call us at 877-263-5152. 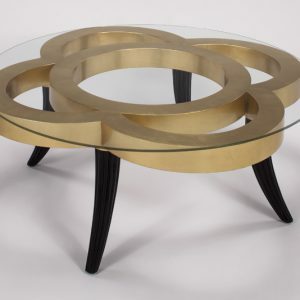 This rectangular coffee table has a soft leaf painted finish in Gold or Silver comes with beveled clear glass fitted top. 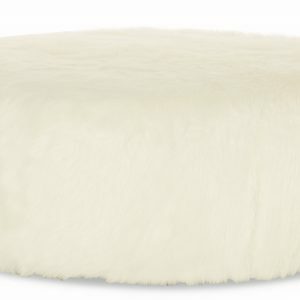 Soft and fluffy round ottoman is fully upholstered and is perfect for your home if you have little ones running around or just need a cozy place to sit by the fire. Contemporary has Fancy face block pattern on top and all sides are of White Ash Burl veneers in Dark Caramel finish. 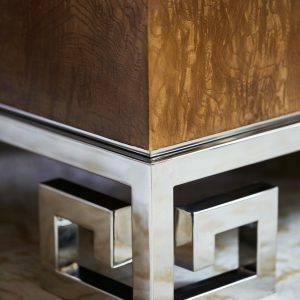 Has Greek Key design legs in polished Stainless Steel.